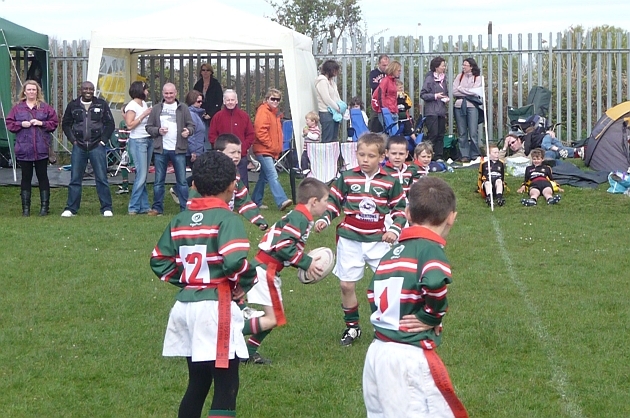 Many thanks to Mark Phillips for providing the latest news from Hoylake Rugby Football Club. 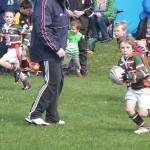 Hoylake Under 8s have finished off their season in stunning fashion over the past few weeks. On 18 April the Hoylake squad, along with parents and supporters, made the long trip to Macclesfield to compete alongside the counties finest teams in the Cheshire Cup. Initially Hoylake were placed in pool with teams from Old Parkonians, Marple, Macclesfield and Congleton. The team played some magnificent rugby with all the squad contributing and won every game to qualify for the knockout stages of the Cheshire Cup event. 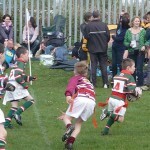 In the quarter-final they faced one of the favourites for the event, Lymm. In an absolute classic encounter and with the scores level at the end of normal time Hoylake triumphed courtesy of the first try scored rule. So the team progressed to the semi-final where they met the hosts A team, Macclesfield. This result was never in doubt with Hoylake out performing the home team in every department to claim the win. So the final beckoned with Sandbach the opponents. 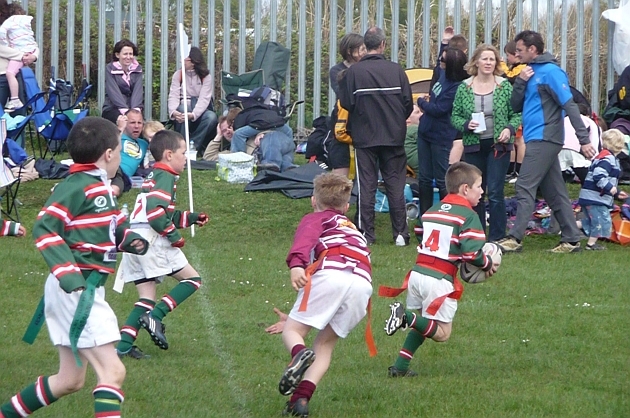 After scoring first Hoylake started to tire and make mistakes in their play. Sandbach capitalised and eventually managed to win 4 – 1 leaving the Hoylake players distraught. 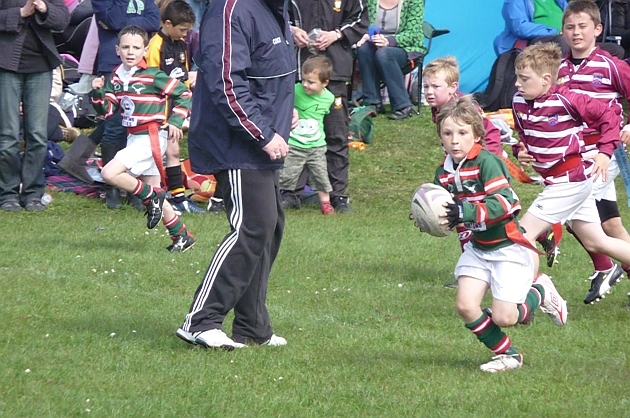 Throughout the day coaches, referees and even supporters from other teams paid their compliments to the Hoylake squad. Firstly in the way the team conducted themselves and in the way they played the game. All eleven boys from Hoylake were outstanding and certainly left an impression on all who watched them and all they competed against. They came up just a little short in the end but this was an outstanding performance against physically bigger teams and bigger clubs. 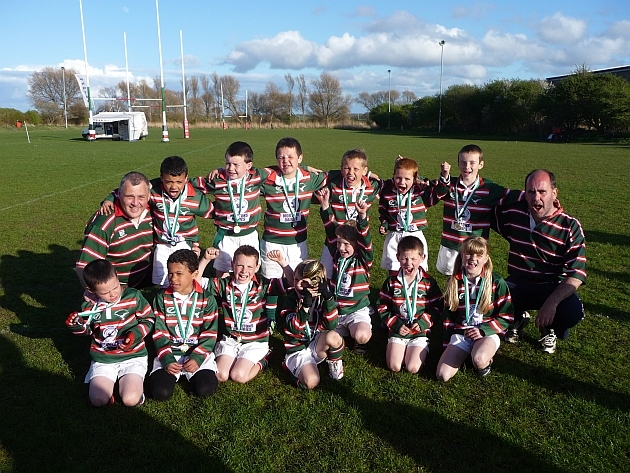 One week one from the Cheshire Cup event the Hoylake squad found themselves on home turf with another challenge. This time they found themselves pitted against Waterloo, Sefton, Caldy, Wirral and Northwich for the pool games. Yet again the Hoylake squad were unbeaten throughout these games and so qualified directly to the main event final where they would meet another Waterloo side who had topped the other pool. What a game this turned out to be. At half time Hoylake were looking down the barrel. They were 5 – 2 down and emotions were starting to get the better of the squad, especially after losing a final the previous week. The second half was a different matter. Hoylake raised their game with some outstanding defence, scintillating attacks and brilliant interceptions. Waterloo responded and at the end of normal time the scores were level at 8 – 8. Extra- time came with absolutely nothing to choose between the two sides. This was an absolute classic encounter between two exceptional teams and it was no surprise that the game drew the biggest crowd of the day. Again the final whistle went only for the referee to look towards the heavens when he realised the scores were tied again at 10 – 10. After a brief meeting between the officials and coaches from both sides it was agreed to have joint winners for this event as we could have still been playing at midnight to try and find a winner. Bedlam ensued with players, parents and supporters of both teams all joining in to celebrate what had been a fitting finale to the day. It has been my pleasure and good fortune to be involved with the Hoylake squad for the past few years. A finer bunch of kids you will never meet. In the two events mentioned above they have pitted their skills and their energy against all comers and have not been found wanting. They have had numerous compliments from coaches of other teams and have made a lasting impression on all they have come across. 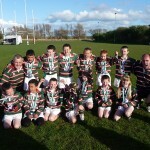 They are a credit to themselves, their parents and they come from Hoylake RFC.